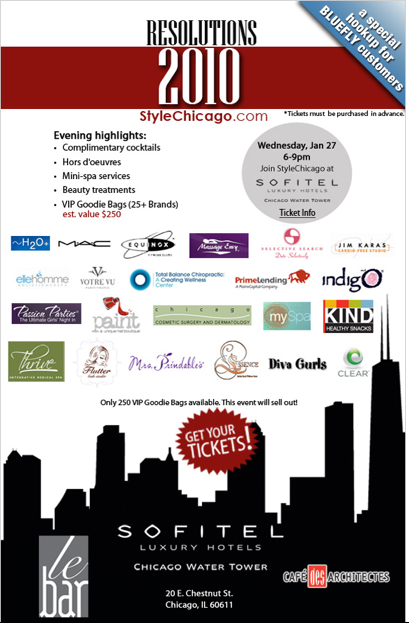 On Wednesday I will be attending StyleChicago Resolutions event at Sofitel Chicago Water Tower. It is a beauty/fashion event where cocktails, hors d’oeuvre, mini spa services, beauty treatments are provided, and for VIPs, there will be a goodie bag! I am very excited about this event even though it will be 25 degrees and snowing on that day. Of course I will update you ladies with what is going on and perhaps a haul of the goodie bag?